If you are travelling to Granada, and feel curious about the culinary offer, make sure to check the list of the best Spanish restaurants in Granada that we have put together for you. Enjoy a unique dinner at one of these five top Spanish restaurants in the historical city of Granada. Granada is a Spanish city full of history both Spanish and Moorish. It was the last city to fall back into the hands of the Spanish during the Reconquista after seven centuries of occupation by the Moors. The city is therefore full of Moorish architecture and history, something picked up on by some of the restaurants in Granada. One of the most famous landmarks of the city is the great La Alhambra palace which is a fantastic example of the best of Arabic architecture. Granada is also situated just next to the foothills of the Sierra Nevada mountain range which stretches across Spain. These mountains are particularly stunning and a walk up them provides unrivalled views of the mountains, the city in its valley and the city's most famous buildings. Fortunately, there are a number of Spanish restaurants in these mountainous areas which mean that you can enjoy a meal as well as enjoy the view. As part of the Spanish region of Andalusia, the restaurants in Granada often serve the Spanish food which is typical of this region. Restaurants in Granada also like to allude to some of the more mysterious parts of the culture and history of this city, such as the gypsy culture and the Moorish legends. If you are into your Spanish culture then you should definitely visit Granada. The following is just a short list of the best Spanish restaurants in Granada; if you are interested in knowing more on any of them, just click on the name and read further! Los Jardines de Zoraya is a Spanish restaurant in Granada which showcases the best in Spanish food. However the most attractive part of this restaurant is their love of Spanish Flamenco dancing, originally a dance developed by the gypsies living in Spain. This is one of the restaurants in Granada which holds regular Flamenco shows for you to enjoy. La Chumbera is a Spanish restaurant in Granada which has so much to offer. Firstly the restaurant is located on the side of mountain which offers great views across the valley containing the city of Granada. La Chumbera also has a number of rooms which are located in caves in the mountains which are decorated traditionally and are great for large dinner parties. 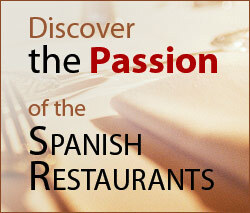 The restaurant serves traditional food based on recipes from Granada and Andalusia. Restaurante La Mimbre is a very traditional Spanish restaurant in Granada in both its food and its decoration. La Mimbre specialises in producing traditional Spanish food surrounded by Spanish objects and trinkets, including the famous Iberian ham legs which hang from the walls. Like most restaurants in Granada, the Restaurant La Mimbre has great views of La Alhambra. The Restaurante Los Manueles is an old Spanish restaurant in Granada which has existed in the city for nearly a hundred years. Over this time, the restaurant has perfected its traditional, local cuisine, making it one of the best places to go for some authentic Spanish dishes from Granada. The Restaurante Mirador de Morayma is a Spanish restaurant in Granada which is named after the wife of the last Moorish king of the city of Granada before it fell to the Spanish. This quaint restaurant also has excellent views of La Alhambra and serves some of the best, traditional food in Granada.